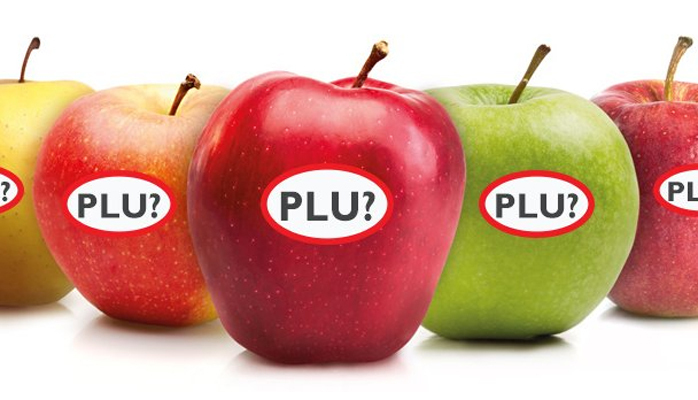 Price Look Up codes or PLU’s as you might know them are the small peel-off labels on your fruits and vegetables that are purchased in the grocery store. Wait… You ate one? Don’t worry, the paper is edible, the ink and glue is food grade so it’s perfectly safe! Now back on topic. PLU codes have been used in grocery stores since 1990 to make checkout quick, easy and accurate. The 4 or 5 digit codes actually have meaning beyond a price look up at the checkout. Just like a bar code, the PLU identifies the SKU (product item, size and price). But did you know that you can decipher the PLU to know if the produce item was conventionally grown or if it is organic? PLU codes leading with a number 3 or 4 identify produce items that are conventionally grown. Usually these codes are four digits in length and the PLU code range is 3000 to 4999. However, to allow for an increase in packaged produce in the coming years, the once reserved 83000 to 84999 series of numbers (originally designated for the now abandoned GMO produce SKU), will be split between conventional and organic to expand the number of available SKU’s. For conventional produce, the numbers 83000 to 83999. In the current numbering system, if a PLU code starts with a 9, it means it is organically grown. This should be a 5-digit code and is a good way to know you have selected the right produce item if you choose to buy organic. With the expansion of produce items coming to market and the abandonment of the GMO number series, numbers 84000 to 84999 will be dedicated to organic produce. If you search the Internet for PLU’s, you will find many articles that mention codes 83000 to 84999 are dedicated to GMO produce. It is important to know this is no longer true. GMO PLU numbering was never implemented and these numbers are now being dedicated to conventional and organic produce. The federal GMO label ruling coming out in 2018 should address all food product labeling for clearer consumer understanding. But what about the bar code that I see sometimes on the PLU code label? The small double-decker bar code is virtually no different to a bar code on any stored purchased product. It looks different because it is stacked to fit into the small label real estate. Technically it is called a GS1 Databar Stacked Omnidirectional Bar Code. You can read more about bar coding fresh produce here. You might also see other fresh produce products packed and labeled with bar codes with Restricted Circulation Number (RCN). The RCN is for variable measure of products to identify product price. Alternatively you might see a GS1 Databar Expanded Stacked with additional data to provide data such as price per weight, unit price and product expiry date. Scan or type? 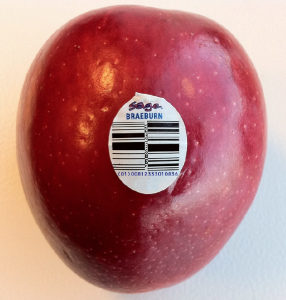 If the fresh produce item has a bar code label, then it is good to scan at the checkout. If you are in the self-checkout isle, you might be requested to weigh the products to calculate the final price; remember to keep everything else off the scale otherwise those will be some expensive apples! If the produce product has a PLU code, simply enter this number and enter the quantity or weigh the products. To learn more about PLU codes and produce labeling, download this document from ifpsglobal.com. I hope you find this article and others that I post useful. Please don’t forget to like or share if you would like to see more. If you have any questions on any packaging topics, please don’t hesitate to send me a message through LinkedIn. As Redimark’s Brand Evangelist, Dean is a passionate guy. Passionate about sharing his deep knowledge about packaging and automation, passionate about exceptional customer satisfaction, and a bit nutty about perfectly printed date codes. 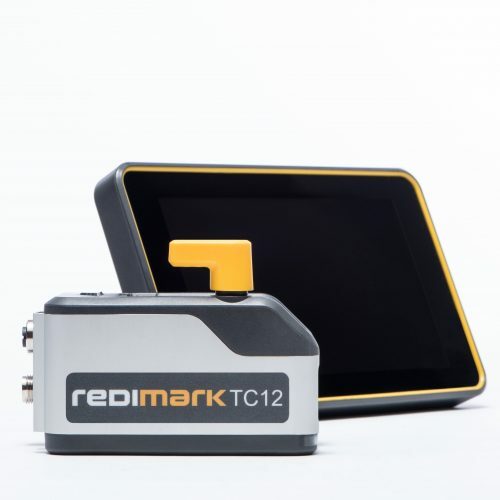 Nothing makes him happier than matching Redimark’s solutions with your business’s coding and marking needs (well, that and a good craft beer). In his more than 25 years in the Fast Moving Consumer Goods (FMCG) industry, Dean has done and seen it all; from engineering to plant automation to vision and coding systems. Have a question for Dean? He’d love to chat.